A few months ago, I needed an external drive with better performance than all of my others. Given that each had a single platter, had 64 MB of cache, and rotated at 5400 rpm, I thought I should upgrade at least one of those areas to get a better performing drive. 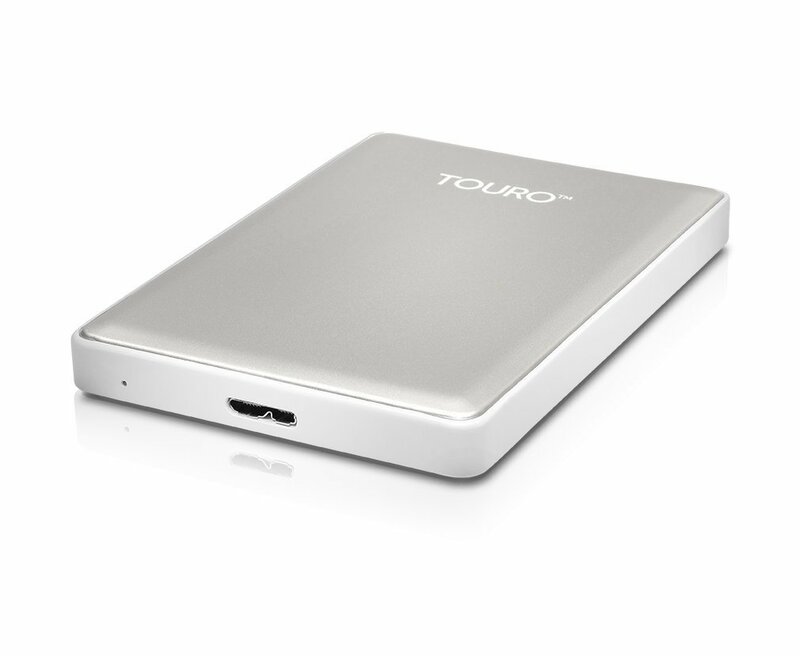 I got online and searched around for external USB drives rotating at 7200 rpm, and happened upon a surprisingly lackluster offering, excepting for one product line: the Touro drives. Having never used a Touro drive, I performed a lot of research and found very little about what was actually inside this drive. It appears to contain a dual platter drive, but with two 32 MB caches (one per platter?). Either way, the results were impressively higher than that of any other drives I own. Over a USB 3 port, I managed consistently top out writing data at 145 MB/s, and reading data at a near symetrical 147 MB/s. Here are the benchmark results I generated. Mar 04 21:33:18: Wrote 1K 10240 times. 10 MB, 10 MiB written at 6.7 MB/s. Mar 04 21:33:19: Read 1K 10240 times. 10 MB, 10 MiB read at 7.8 MB/s. Mar 04 21:33:29: Wrote 1K 81920 times. 84 MB, 80 MiB written at 7.9 MB/s. Mar 04 21:33:39: Read 1K 81920 times. 84 MB, 80 MiB read at 8.4 MB/s. Mar 04 21:33:47: Wrote 1M 1024 times. 1.1 GB, 1.0 GiB written at 146 MB/s. Mar 04 21:33:54: Read 1M 1024 times. 1.1 GB, 1.0 GiB read at 143 MB/s. Mar 04 21:34:54: Wrote 1M 8192 times. 8.6 GB, 8.0 GiB written at 144 MB/s. Mar 04 21:35:53: Read 1M 8192 times. 8.6 GB, 8.0 GiB read at 147 MB/s. Mar 04 21:38:21: Wrote 1M 20480 times. 21 GB, 20 GiB written at 145 MB/s. Mar 04 21:40:47: Read 1M 20480 times. 21 GB, 20 GiB read at 147 MB/s. Mar 04 21:40:54: Wrote 2M 512 times. 1.1 GB, 1.0 GiB written at 146 MB/s. Mar 04 21:41:02: Read 2M 512 times. 1.1 GB, 1.0 GiB read at 144 MB/s. Mar 04 21:42:01: Wrote 2M 4096 times. 8.6 GB, 8.0 GiB written at 145 MB/s. Mar 04 21:43:00: Read 2M 4096 times. 8.6 GB, 8.0 GiB read at 147 MB/s. Mar 04 21:45:28: Wrote 2M 10240 times. 21 GB, 20 GiB written at 145 MB/s. Mar 04 21:47:54: Read 2M 10240 times. 21 GB, 20 GiB read at 147 MB/s. Mar 04 21:48:01: Wrote 4M 256 times. 1.1 GB, 1.0 GiB written at 146 MB/s. Mar 04 21:48:09: Read 4M 256 times. 1.1 GB, 1.0 GiB read at 144 MB/s. Mar 04 21:49:08: Wrote 4M 2048 times. 8.6 GB, 8.0 GiB written at 145 MB/s. Mar 04 21:50:06: Read 4M 2048 times. 8.6 GB, 8.0 GiB read at 147 MB/s. Mar 04 21:52:34: Wrote 4M 5120 times. 21 GB, 20 GiB written at 145 MB/s. Mar 04 21:55:00: Read 4M 5120 times. 21 GB, 20 GiB read at 147 MB/s. Mar 04 21:55:08: Wrote 1G 1 times. 1.1 GB, 1.0 GiB written at 139 MB/s. Mar 04 21:55:16: Read 1G 1 times. 1.1 GB, 1.0 GiB read at 136 MB/s. Mar 04 21:56:16: Wrote 1G 8 times. 8.6 GB, 8.0 GiB written at 143 MB/s. Mar 04 21:57:15: Read 1G 8 times. 8.6 GB, 8.0 GiB read at 145 MB/s. Mar 04 21:59:45: Wrote 1G 20 times. 21 GB, 20 GiB written at 143 MB/s. Mar 04 22:02:11: Read 1G 20 times. 21 GB, 20 GiB read at 146 MB/s.